It was an historic event at The Balmoral Hall, Oregun, Ikeja where the Youngest District Governor in MD 404 Nigeria, was formally presented to the Public. 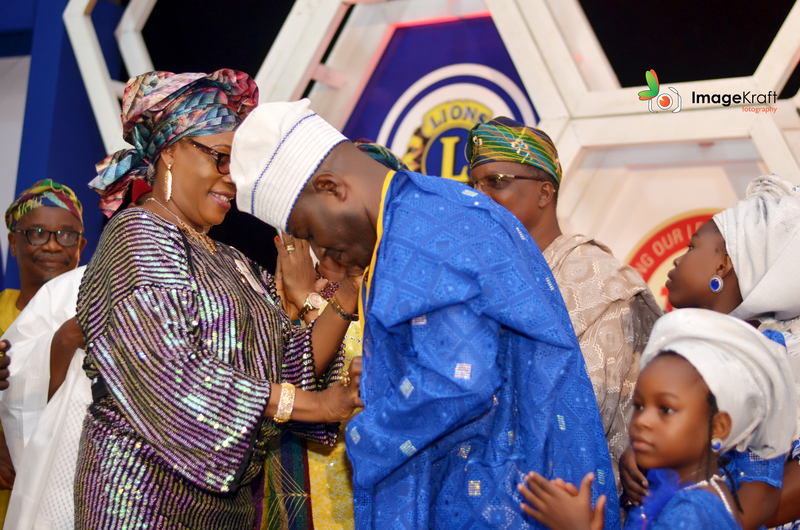 The Centennial District Governor, Lion T.O.S Adewunmi took the baton of leadership of District 404B2 for 2016/2017 from his predecessor Lion (Dr.) Funke Adebajo amidst fun and glamour. The occasion put together by the Presentation Committee, under the leadership of Lion (Chief) Mrs. Esther Benson was chaired by the Honourable Commissioner, Dr. Akinkunmi Mustapha, Ministry of Finance, Lagos State. The first Estate Surveyor and valuer to achieve this feat enjoyed the tremendous support of his colleagues in his chosen career, well-meaning Nigerians and Lions across the Country and beyond, with their presence and support. ATTENDANCE: Open, but MANDATORY for all Cabinet Officers listed on pages on pages 20 & 21 of the DG Acceptance Speech Booklet. 3. DISTRICT COMMITTEE CHAIRPERSONS WORKSHOP. 4. LEADERSHIP DEVELOPMENT TRAINING/CEP WORKSHOP TRAINING. ATTENDANCE: Open but MANDATORY for all CLUB OFFICERS, especially Presidents, Secretaries, Treasurers, Membership and other Club Directors. VENUE: Holding simultaneously in Lagos, Osogbo, Ilorin and Ado Ekiti. SPECIFIC VENUE AT EACH CENTRE WILL BE ADVISED. ATTENDANCE: Select Lions who are to champion the building of virile clubs across the District. 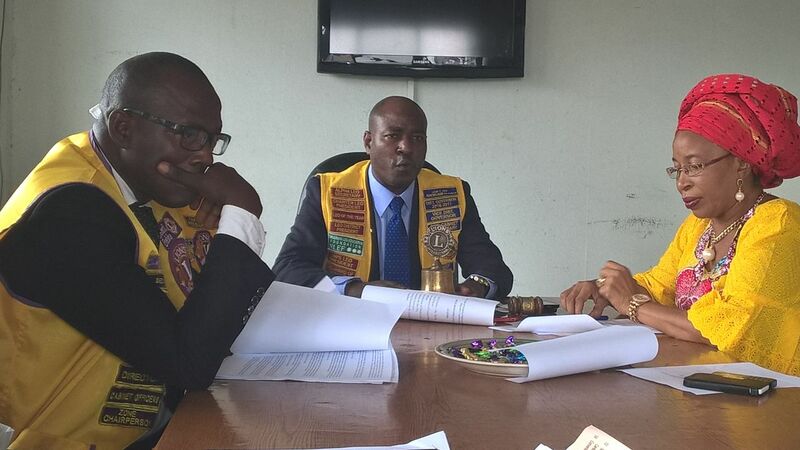 The service year started on a bright note as the District Governor kickstarted the year with a press conference to intimate the Nigerian public and the world at large of the proposed activities of Lions Clubs International District 404B-2, Nigeria for LIONS YEAR 2016-2017 which is leading to the 100th anniversary of Lions Clubs International. He reiterated that the District shall focus on the four centennial service challenges which includes engaging the youths, fight against blindness, relieving the hunger and protecting the environment. 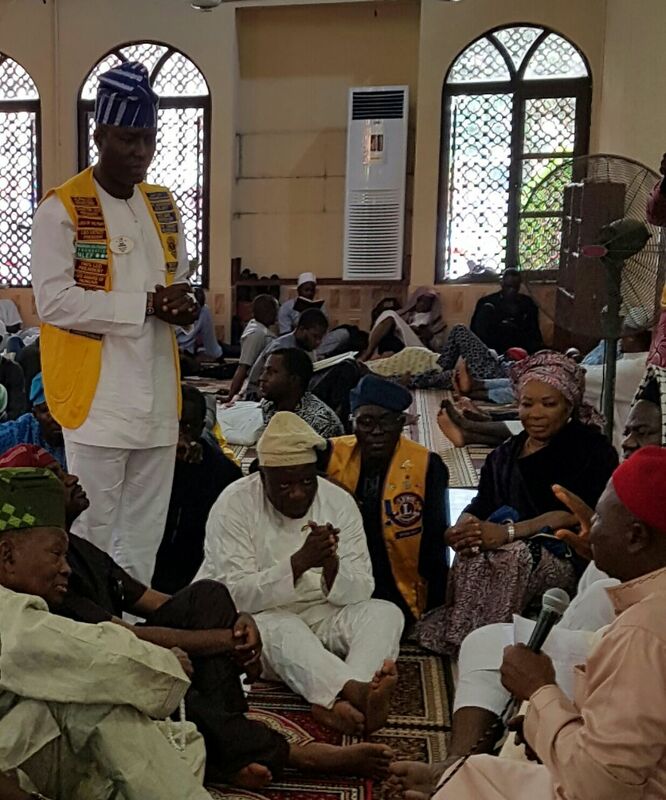 Thereafter the District Governor led Lions to the Alausa Secretariat Mosque for the Jumat Service to usher in the year with prayers and to seek for His guidance and protection all through the year. 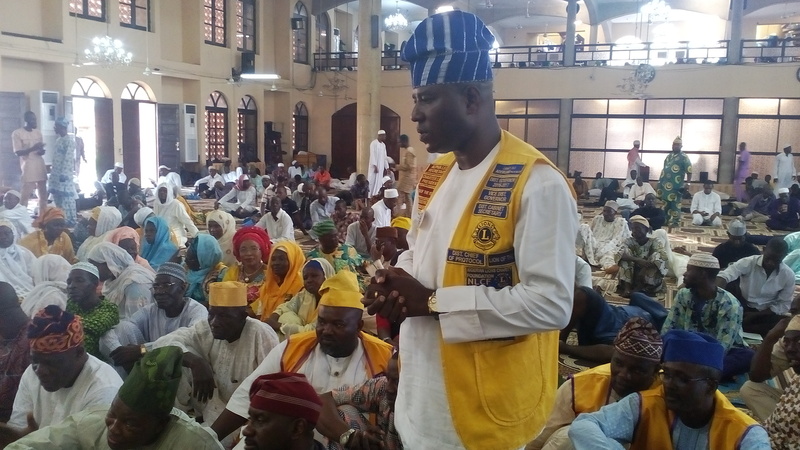 Lions in the district also converged in large numbers at strategic zones such as Osun, Ekiti and Ilorin axis as they joined their counterparts in Lagos to usher in year with prayers at various mosques.